Coming soon, on August 21, 2017, is one of the biggest celestial events in history. The total solar eclipse will cover all of the continental U.S. for the first time since 1918. All across the country, towns are preparing for an influx of people to witness this spectacular phenomenon taking place. Solar eclipse viewing locations are being set-up all along the path of the eclipse and NASA will be hosting a Mega Cast for those that prefer to stream it online. 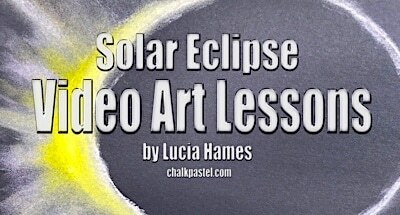 If you have an opportunity to head to the “zone of totality” and experience the Total Solar Eclipse, I say “Go for it!” It’s a wonderful opportunity to take part in this rare event and connect with the rest of the world. Before heading out, keep in mind that most small towns have not experienced a crowd of this size before and things may not go perfectly. Go prepared and you’ll have a great time no matter what mishaps transpire. Read on for some solar eclipse viewing supplies that you can start gathering now. Solar Eclipse Viewing Glasses: If you plan to enjoy the partial phases throughout the day you MUST have the appropriate eyewear. Looking directly at the sun is highly dangerous and you’ll miss out on stellar views without the solar glasses. You still have time to order online and get them in by Eclipse day; they are inexpensive so go ahead and order an extra pair, you’ll want a back-up in case something happens to yours. You’ll be exposed to sun all day long and may want to bring traditional sunglasses too. 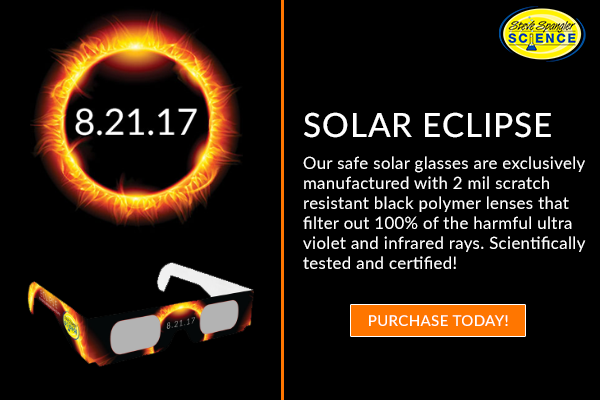 Get your solar safe glasses from Steve Spangler Science before they sell out! Pinhole projectors: Another safe way to view the eclipse is with a pinhole projector. Download the free printable projector from NASA. Sunscreen: Anytime you are hanging out in the sun for an extended period of time you should protect your skin with sunscreen. This might be especially important since you’ll likely be caught up in the excitement of the day and miss thinking about how much sun you are getting. For added protection, wear a hat and bring insect repellant; you won’t know you need it, until you need it. Cell Phone Charger: There is no sense in telling you to bring your cellphone, no one leaves their house without it unless by mistake. I have no doubt you’ll be sharing photos, staying up to date on what’s happening or texting and chatting with friends. Its possible cellphone towers will be overloaded by the volume of people and you might spend more battery power trying to navigate things than you normally would. Make sure you have a portable cell phone charger for each cell phone charged up and ready to go. If you are worried about still losing cell phone power, solar-powered chargers are definitely the way to go. Water: Stay hydrated! It will be hot on August 21st. Pair that with being out in the sun and you could get dehydrated quickly. Make sure you are prepared with water on hand. Consider bringing food and snacks along, too. With large volumes of people turning out at viewing centers and not having pulled it off before, it is possible they will run out of supplies. Consider leaving an extra cooler in the car for when it’s over; with traffic it could take you awhile to get out of there. Camera: If you own a traditional camera bring it along; it will save battery power from using your cell phone. So many people will be trying to capture pictures of the sun instead get great shots of your surroundings, the people and the happenings throughout the day. To get a quality picture of the sun you’ll need approved solar filters for any equipment. Do NOT make the mistake of trying to get photos at the time of the eclipse, if you do this you will miss the ‘moment’. Medicine: Do not forget to bring any prescriptions you take. The crowds will result in high traffic and it could take hours for you to get home; plan ahead. If you are prone to headaches or are sensitive to the sun, lights and sounds you may want to bring along a pain reliever just in case. Toilet Paper: If you’ve ever been to an event with a crowd then you know how quickly this can run out, bring your own and you won’t have to worry about it. I’d rather be over-prepared than stuck without TP. Depending on where you plan to experience the Total Solar Eclipse you might bring other things like a blanket or chair, toys for the kids etc. When viewing the eclipse from the comfort of your own home you won’t need much; get a hold of solar viewing glasses to watch the sun throughout the day, download the Eclipse2017.org app, watch the moment of eclipse on a blanket in the yard or live stream online at the NASA website. No matter how you decide to celebrate this wonderful moment in history, seize the day and make memories that’ll last a lifetime.